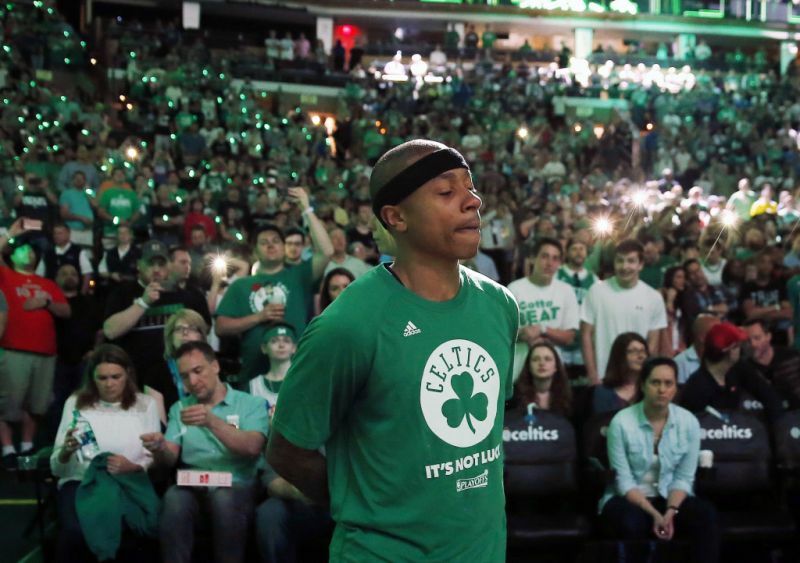 A moment of silence was held for Chyna just before the team introductions and an emotionally drained Thomas even though he was in the building looked so very far away as he slowly made his way to the Celtics' huddle as a Rick Ross instrumental blared over the loudspeakers in their usual pregame ritual. But when the game started Thomas was certainly there. He led the Celtics in scoring and was the catalyst on the offensive end. The Celtics were a +12 with Thomas on the floor Sunday night and struggled to create offense when he wasn't - something that's been an achilles heel all season but more particularly of late. Should the Celtics be without Thomas for Tuesday's game that would likely not bode well for a team struggling to create offense when he's off the floor for minutes at a time, never mind an entire game. As much as I'd love to see Isaiah on the court Tuesday night I wouldn't fault him one bit for taking some time to grieve with his family. I imagine we'll get a better idea sometime later today whether he's going to give it a go or not.